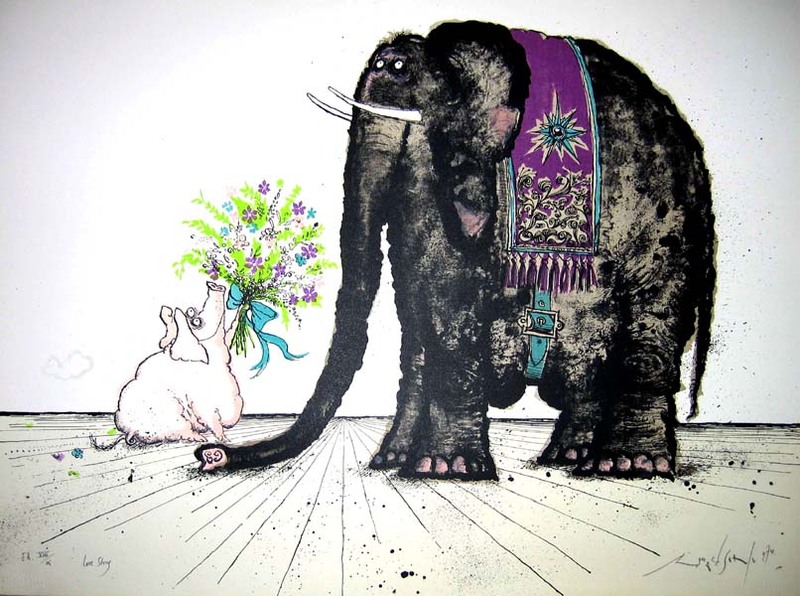 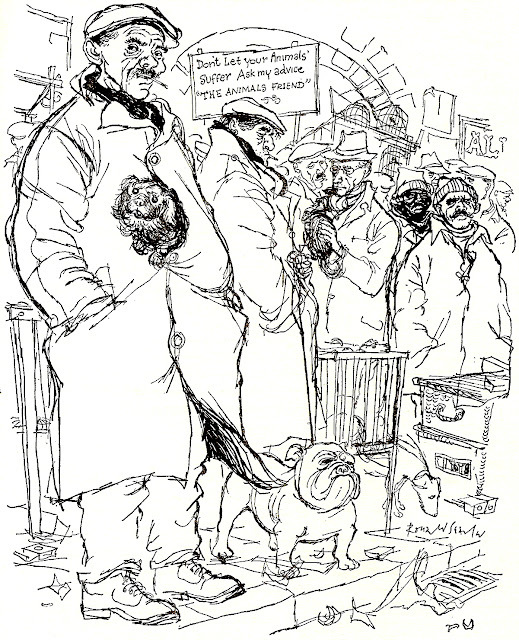 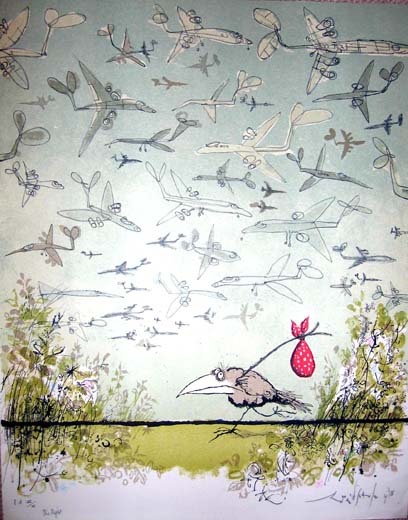 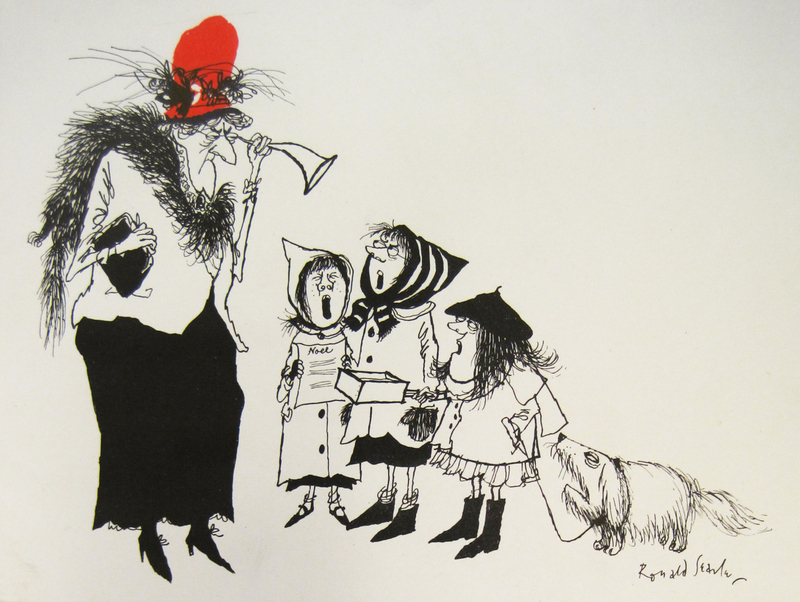 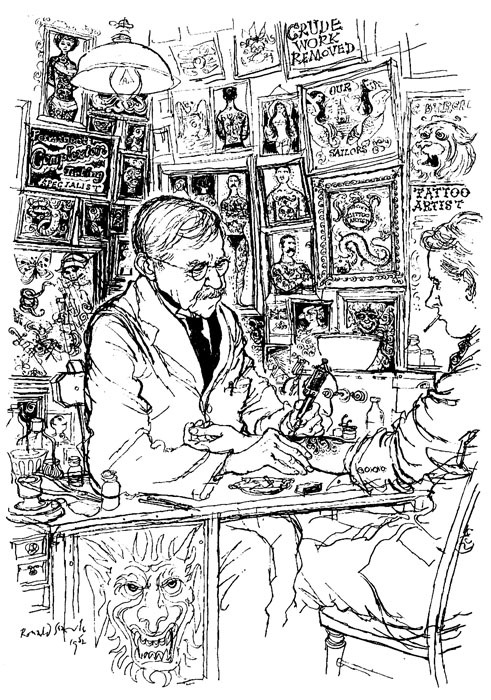 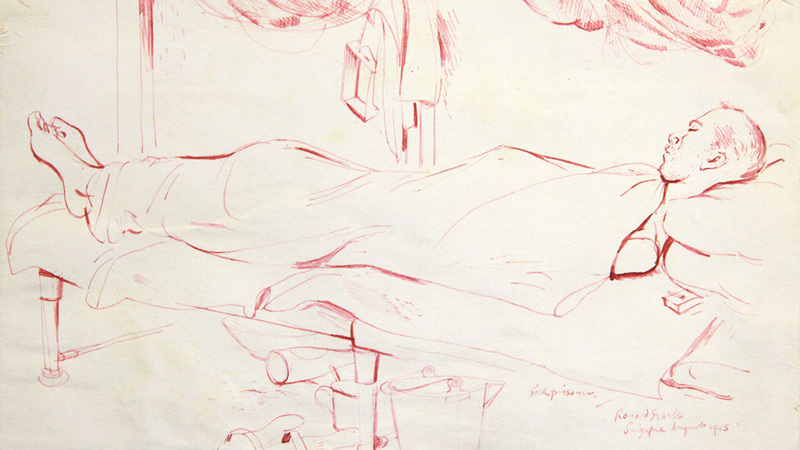 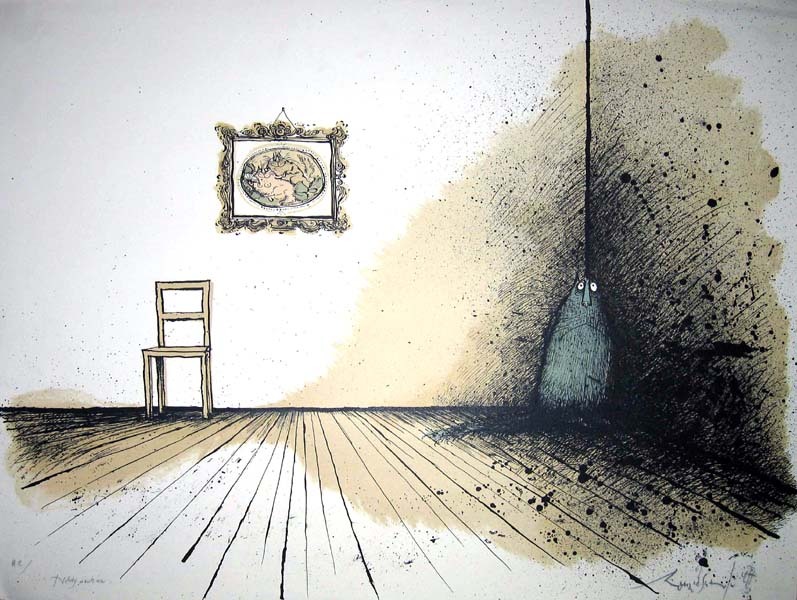 Here is a short tribute to the artist Ronald Searle, who died 30 December 2011 aged 91. 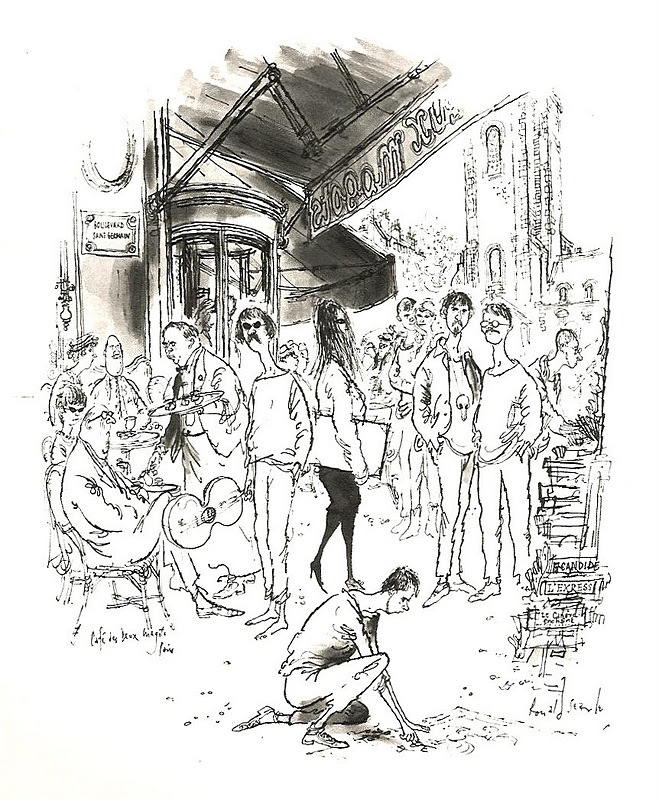 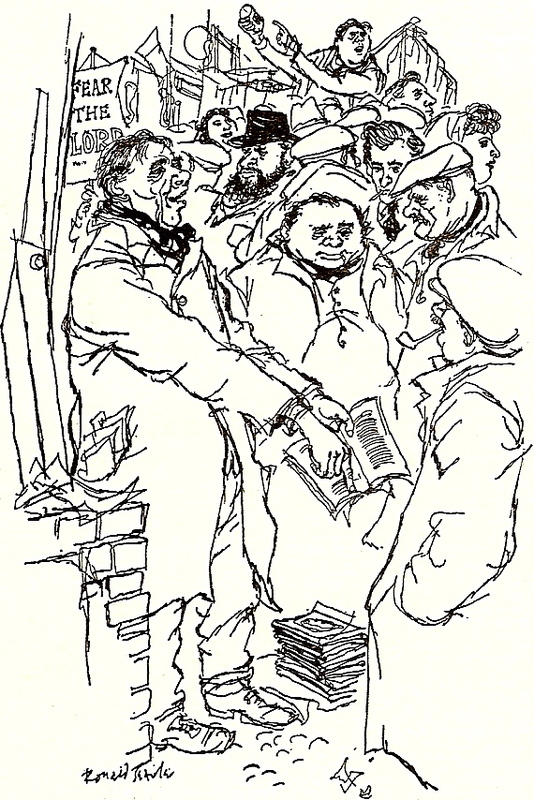 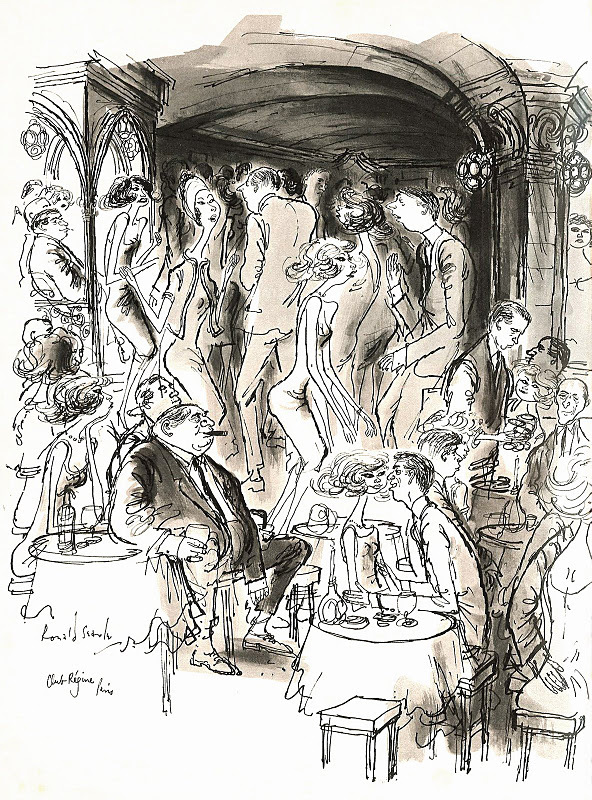 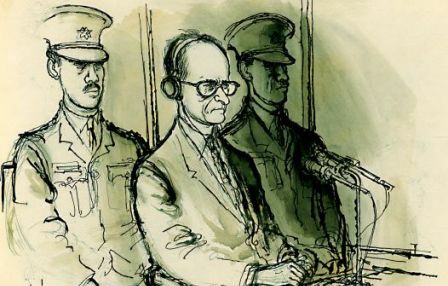 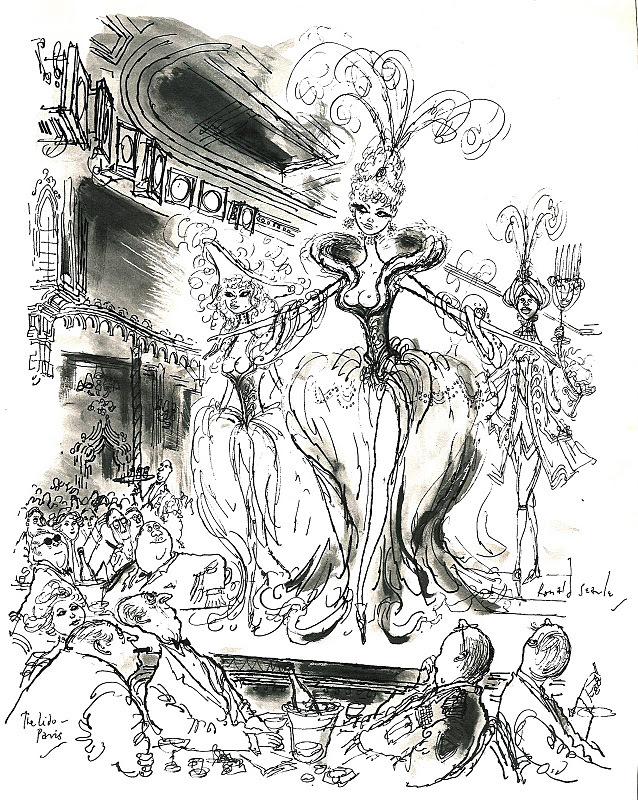 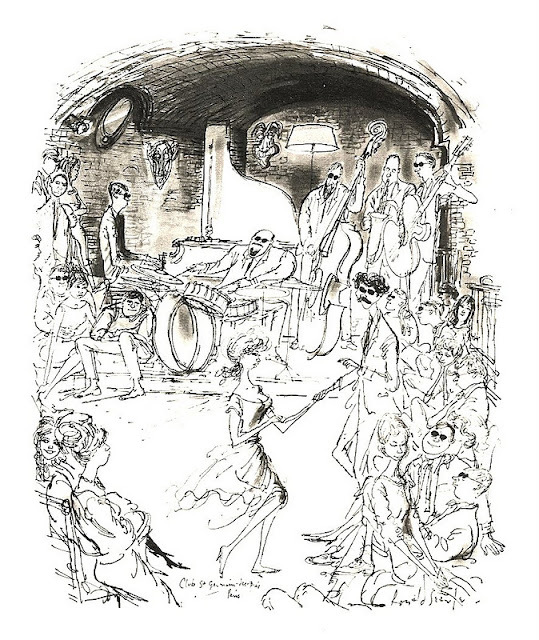 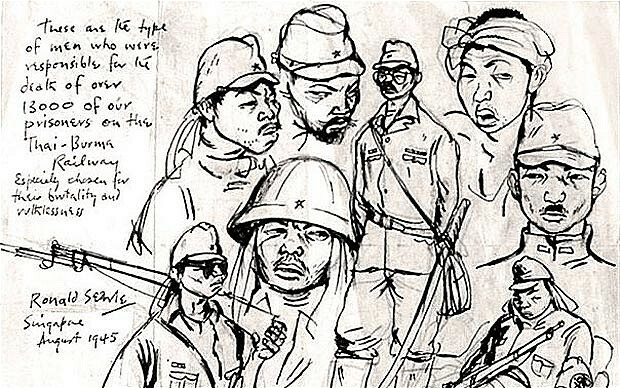 Ronald Searle was born in Cambridge in 1920 and was educated there at the Cambridge School of Art. 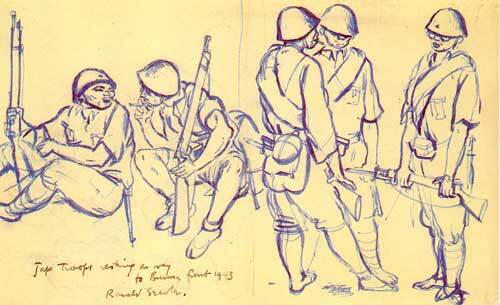 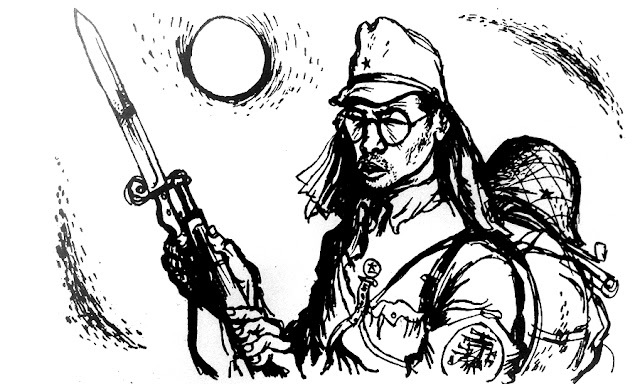 On the outbreak of the Second World War he left his studies to serve in the Royal Engineers and in 1942 was captured by the Japanese at Singapore, then held by them for three and a half years. He is a hugely successful graphic artist and pictorial satirist. 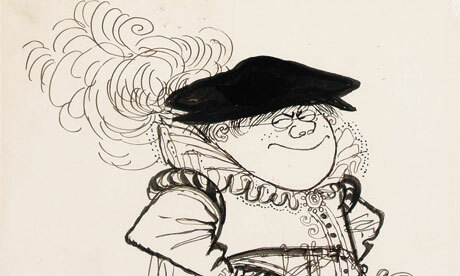 As well as his collaboration with Geoffrey Willans on the Molesworth books and his invention of St Trinians, his work has been the subject of numerous exhibitions across the world and appears in several major American and European collections. 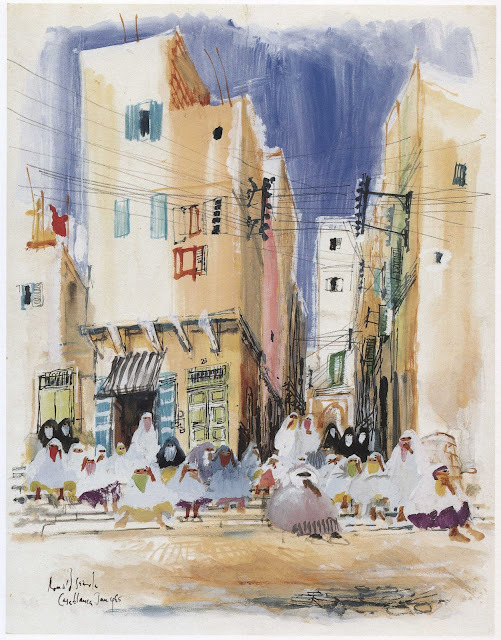 He moved to Paris in 1961 and then, in 1975, to a remote village in Haute-Provence. He died in a hospital near his home. 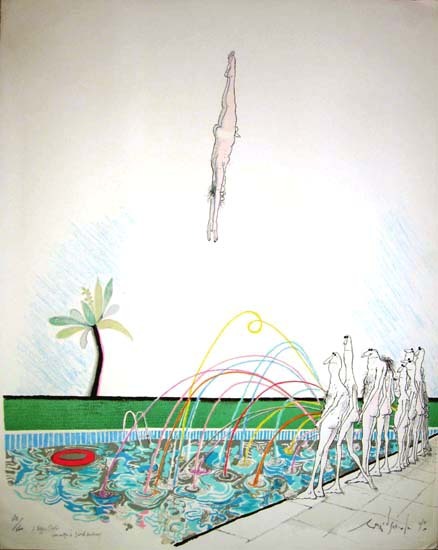 1972 From "The suicide and reincarnation of an extremely small man"
Such amazing work. 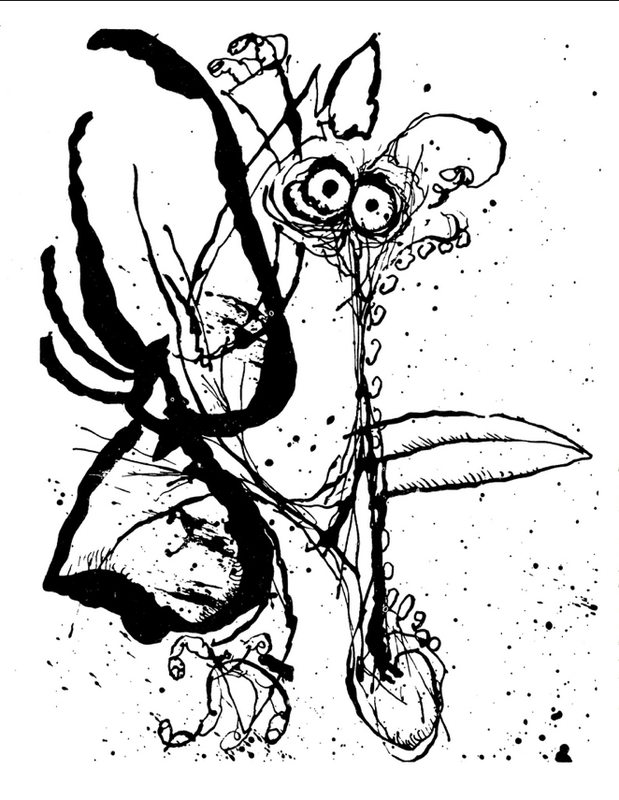 Cred for your art blog. I love it, and the variety of artists you post.